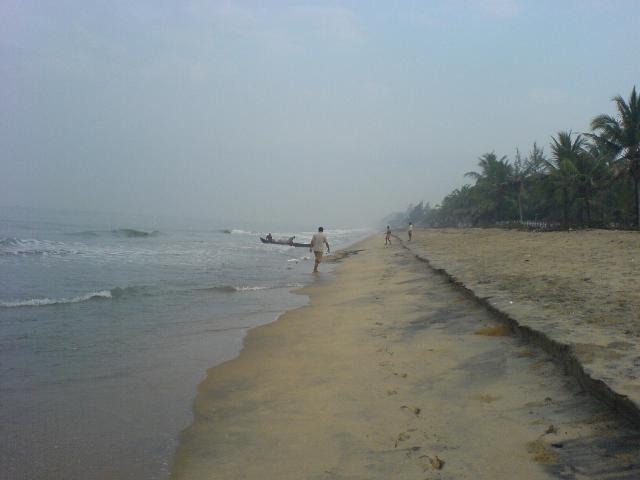 Cherai is a coastal village located in central Kerala, India. 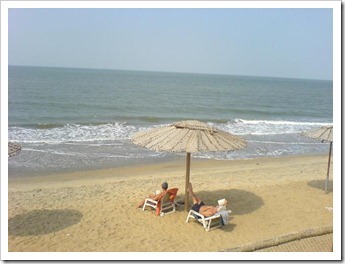 This place is a unique combination of sea and backwaters rimmed by lush green coconut palms and paddy fields. 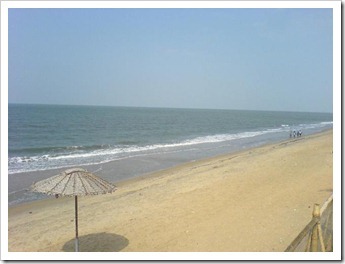 The backwaters are a combination of lakes, lagoons, canals and estuaries. 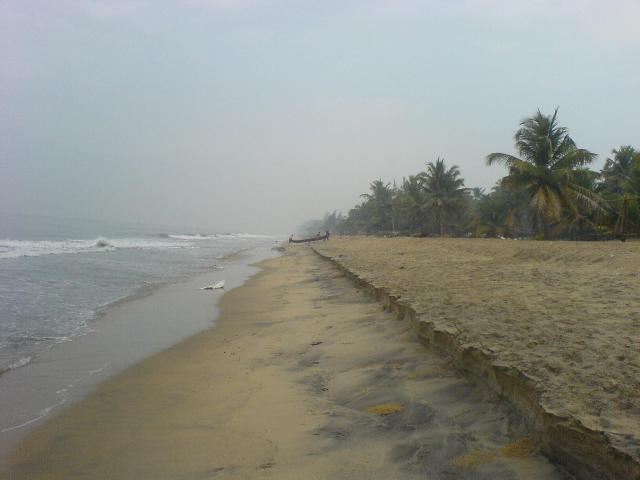 Cherai Beach is one of the most beautiful beaches in Kerala. 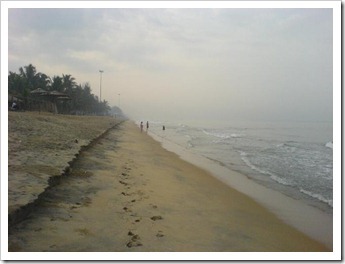 The 15 km long beach is clean, shallow and is ideal for swimming, surfing and sun bathing. A lot of infrastructure at the beach was destroyed due to a Tsunami which had hit the place in 2004 and some of it is yet to be rebuilt. 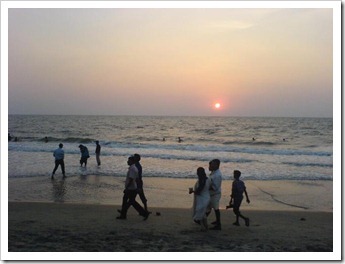 In this post, I capture my holiday trip to Cherai beach. 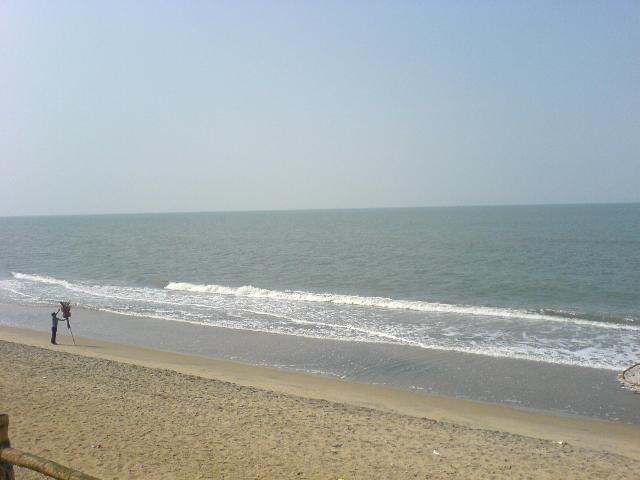 The ideal way to experience Cherai is to stay someplace nearby and then visit the beach in the early morning. I spend most of my time in front of computers and hence rarely go out on a holiday trip. But last week Internet access was pretty slow due to some underwater cable damage. Hence I decided to go on a tour with family and relatives. 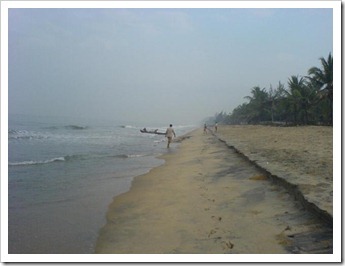 We headed out to Cherai beach which is about 30 kilometers from Ernakulam. Man! It was one of the most relaxing holiday trip in my life. 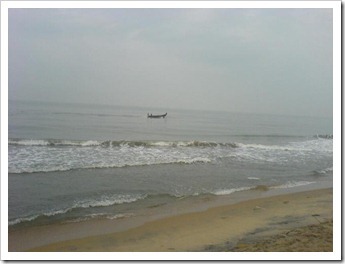 I was staying at Irinjalakkuda and from there Cherai beach is only an hour’s drive. The road is ok, but becomes narrow as you reach Cherai. 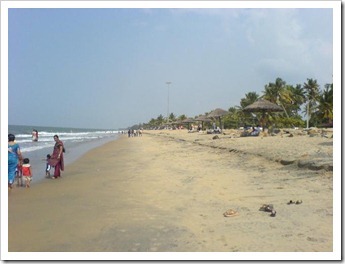 From Cochin international airport, Cherai is just 20 kilometers and the easiest way to reach is to hire a taxi. 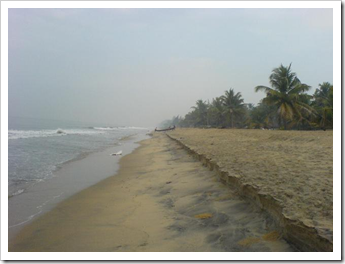 You can also get a bus to Paravur from Ernakulam and then another bus or autorickshaw from Paravur to Cherai beach. If you are coming by car, beware of the narrow wood bridge on the way to beach. The beach access road is well lit and the main beach entrance has flood lights. 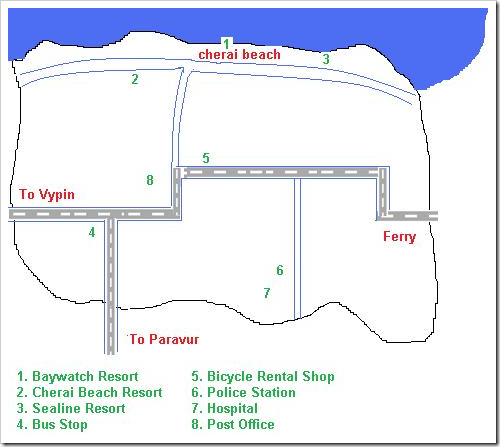 Check out the following Cherai map to see location of various resorts and facilities. 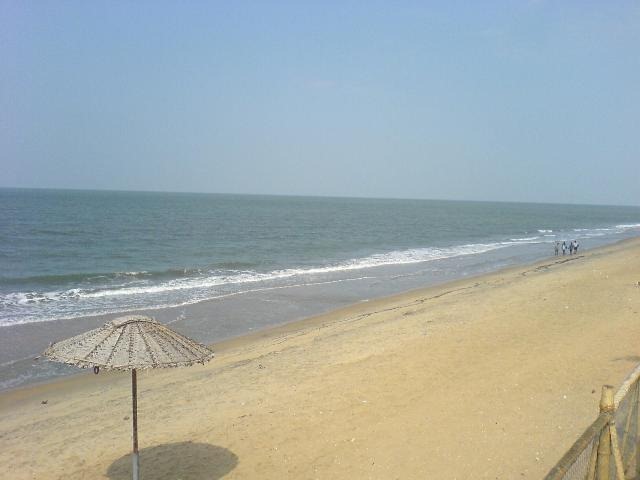 There are a couple of good hotels and resorts in Cherai. 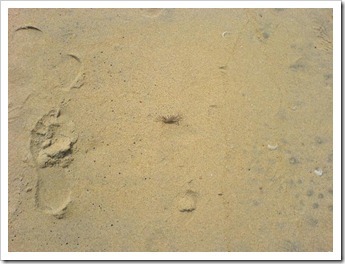 Some of them are on the beach side and some are located some distance from the beach. Obviously the beach side ones are the best. 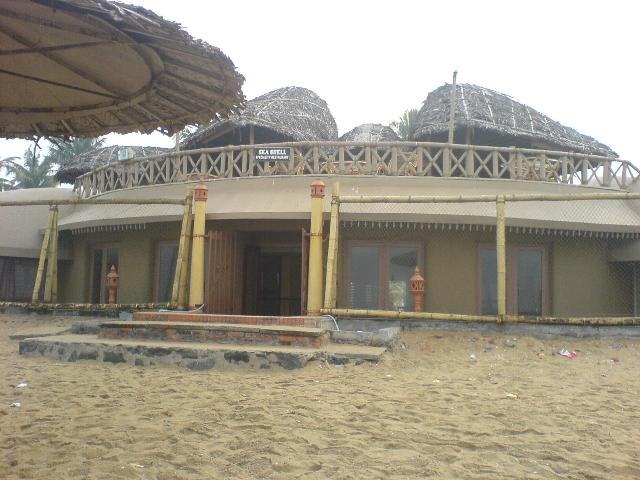 I had stayed in Baywatch beach home which is the nearest resort(5 meters from the water front) to the beach. It is so near that I was a bit worried(in fact the floor of the hotel was at the same level as the sea!) . 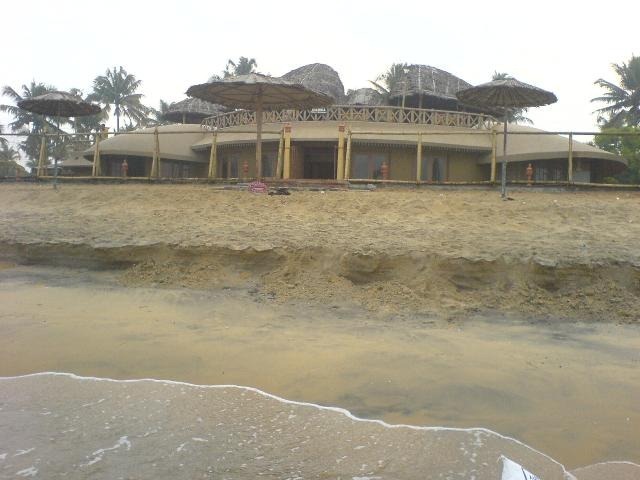 Baywatch resort where we stayed, charged Rs. 2000 per day for an air-conditioned double room and the good thing is that they have a 24hour check out period. Other resorts charge extra if you stay beyond 12PM. For us it was crucial since we reached beach after 8PM. But unfortunately this resort is not well maintained. 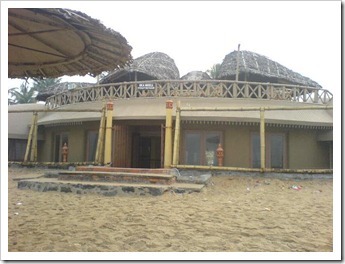 Initially we had some problems in getting two rooms at the Baywatch and hence we headed out to another seaside resort named Sealine Beach Resorts. The reception there was pretty bad. They behaved like they are not interested in giving out the room (either because they were doing something illegal or because they don’t want ‘desis’ at the hotel). We came back to Baywatch and luckily we got the extra room we needed. 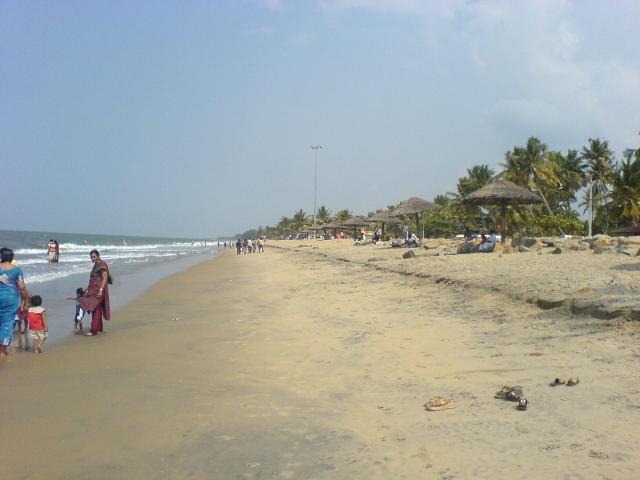 There are a lot of activities possible at Cherai beach. The most obvious one is swimming. 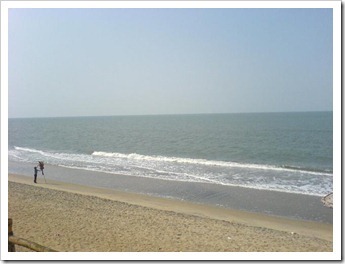 The water is shallow and is ideal for comfort swimming. 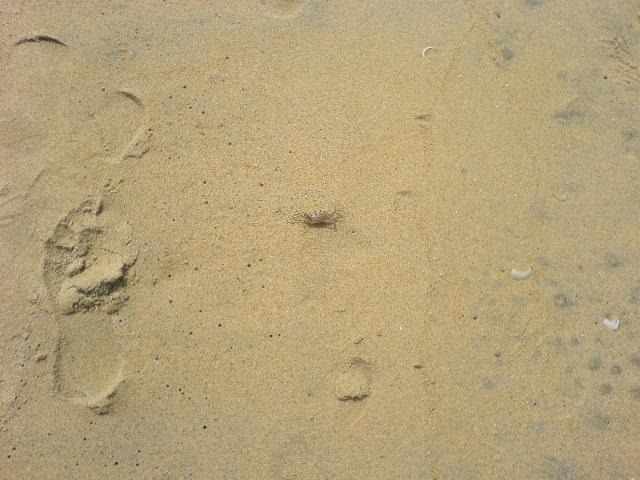 Walking along the beach is another activity which I liked most. 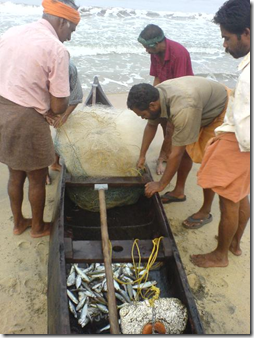 Early morning is the ideal time for a walk and you may be able to take a peak at the day’s catch in a boat. 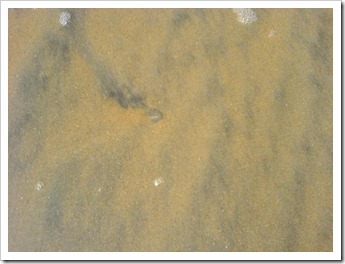 Another interesting feature of this beach is the variety of sea life you can find on the shore. You can find a wide variety of sea shells, sea birds and if you are lucky and adventurous you can even catch a large crab! Since the beach is long, this activity itself is worth spending a day. To move around, you can also hire a bicycle from nearby(I saw a couple of foreigners roaming around in bicycles). The local food is delicious especially the sea food. You can try out different crab dishes or the mouth watering butter roasted tiger prawns (which costs around Rs. 200 for 3 pieces). Another ‘must eat’ dish is the ‘Karimeen Pollichathu’. 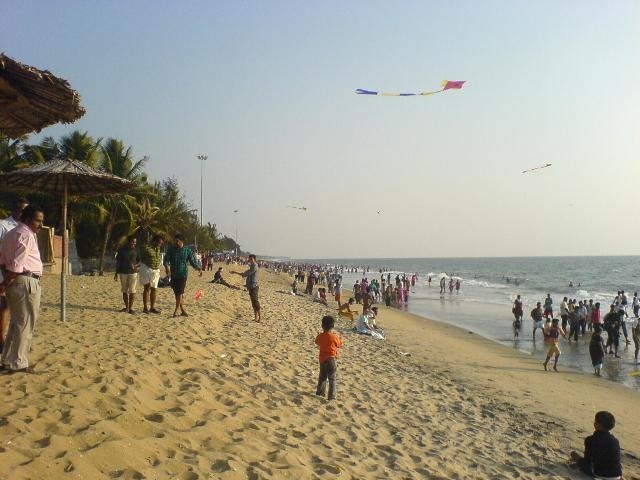 ‘Kite flying’ is another time pass activity at Cherai. 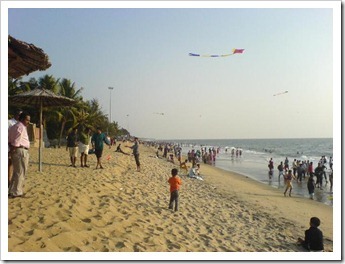 The beach comes alive during evenings with a lot of colorful kites. You can buy a kite for Rs. 10 and additional chord will cost you Rs.30. Best time to spend at this beach is the morning time. 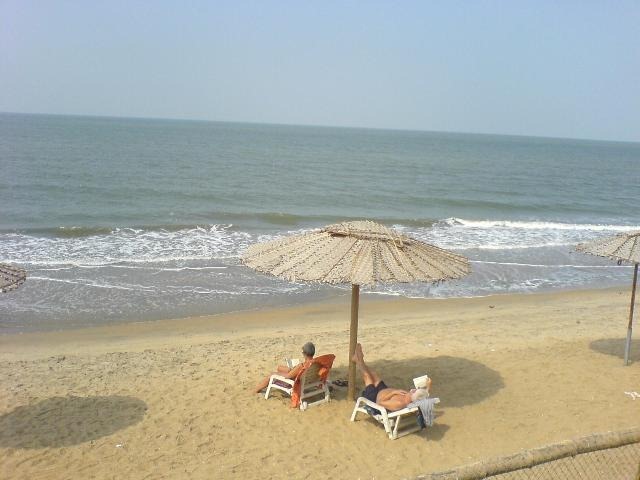 Beach is almost deserted during mornings and you may see a couple of early morning tourists. It is very crowded during evenings and during weekends it is crowded like a football stadium! 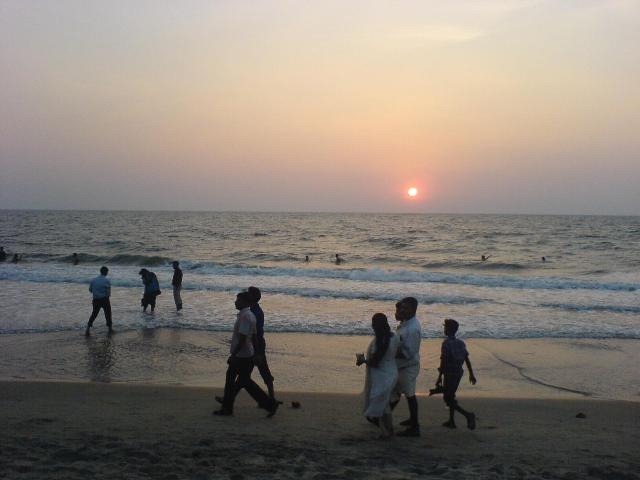 In Kerala, it is illegal to sell alcohol without a license. Still you can find that most of the places offer alcohol (or at least beer). But buy liquor only from reliable places. 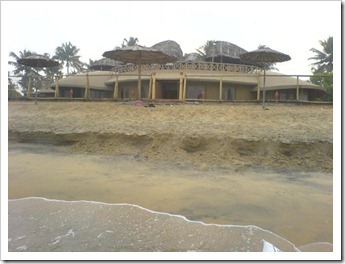 A government owned liquor shop is located about 1KM from the beach. Alcohol available at the resorts tend to be 3 to 4 times costlier. 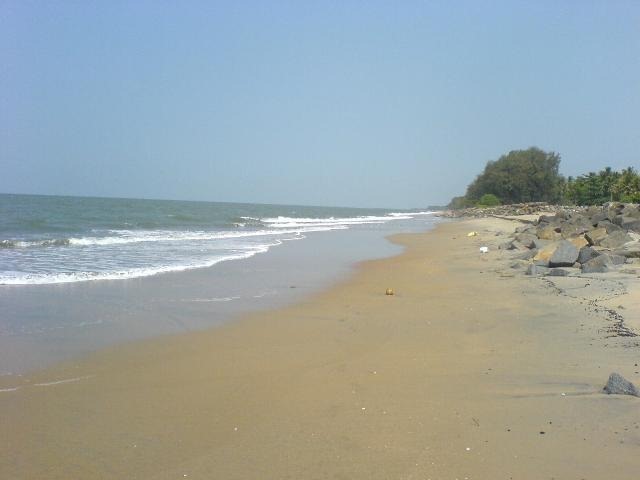 Cherai beach is relatively safe. But surrounding areas can be dangerous. 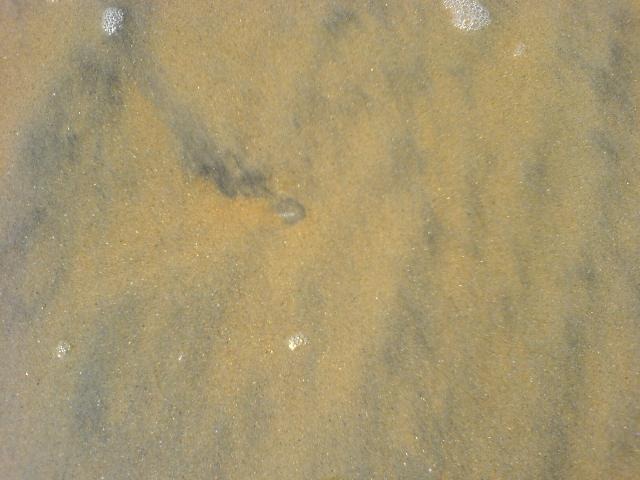 It is better to stick near the beach at least during night time. We reached around 8PM and after food and couple beers went to sleep. Next day morning was cloudy day and we missed the sunrise. 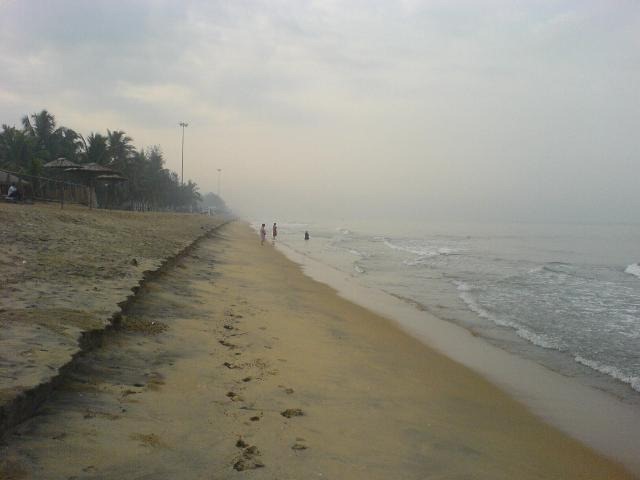 Cherai beach is almost deserted during the early morning and we went for a walk. As i said earlier, morning is the time you should be at this beach. A couple of fish boats were seen in the morning. The team shown here had a very bad catch. They got fish worth probably Rs. 200 or so. You can spot these boats during night also. Another adventure would be to board one of these! 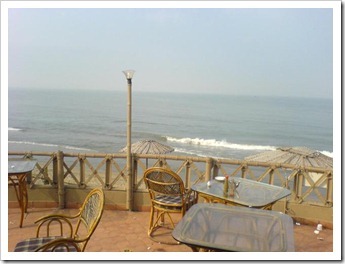 Most of our time was spent at the seashell restaurant situated over the Baywatch resort. The restaurant is not very costly and they do serve beer. 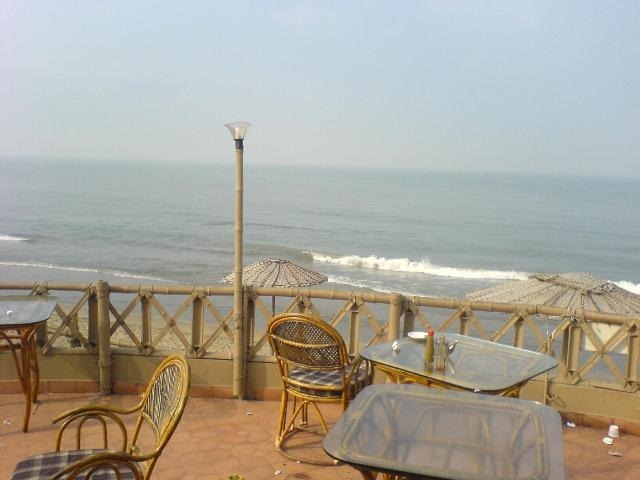 Sipping ice cold beer with a majestic view of the Arabian sea is a very relaxing activity here. It becomes crowded in the evening. 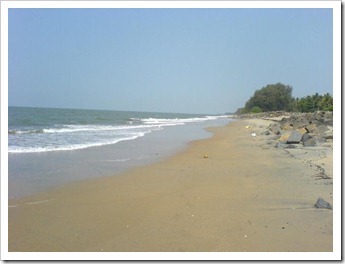 If you are looking for a place to relax and unwind, Cherai beach is an ideal destination. Pack your bags and head out to this place for a couple of days! 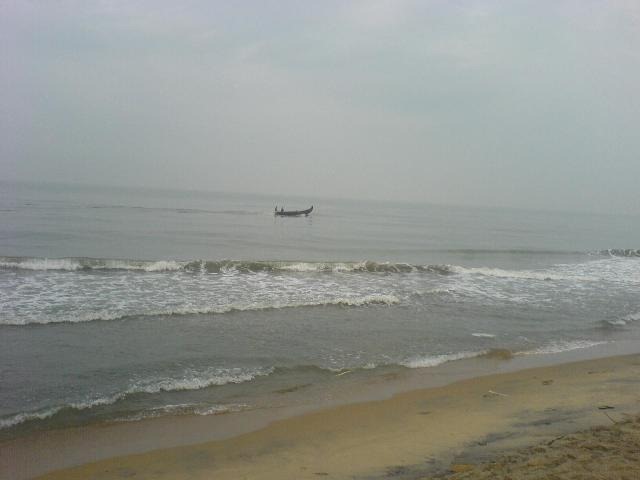 Check out the photos that I had taken at Cherai beach. As they say, a picture is worth 1000 words. You can click on the photo for a larger version.